ESCAP 2017 Geneva Congress theme: TRANSITION Evolving environment or break of balance? Children and adolescents are living in a world affected by continuous transitions. A phenomenon with a double meaning: it implies a life of change in a constantly evolving environment, as well as a possible a break of balance: a loss of equilibrium. Transition, the leading theme of the ESCAP 2017 Congress, contains many aspects that are relevant to youth mental health. A first important issue is transition on a socio-cultural level. Children and adolescents are experiencing contemporary changes such as migration and globalization. For many children these changes have developed dramatically in the last decade – Europe is now being confronted with the turmoil in Syria, North Africa and other parts of the world, with the daily reality of the refugee crisis visible in its backyard. Mental health professionals and many other care providers are facing the end of the safe haven and are up against a long-term challenge, the scope and dimension of which are unknown. Professionals are called to offer care devices and psychotherapeutic approaches that allow this vulnerable population to overcome these difficulties, by redefining the changes to prevent serious breakdown. “We take the role of providing evidence-based knowledge and guidance to refugee helpers. This should and will be the role of ESCAP in this situation, where many children have to live through such radical experiences”, says professor Dimitris Anagnostopoulos (Athens, Greece), board member of ESCAP and in charge of the ESCAP refugee project, ‘ESCAP for mental health of child and adolescent refugees’. Professor Anagnostopoulos and his team will be giving a keynote lecture on this subject at the Geneva congress. 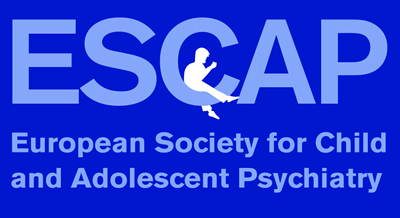 Another focus of the ESCAP Congress in Geneva will be transition in terms of systems of child and adolescent mental health care. Outcomes of new research will add to the congress attendees’ understanding of the development of child and adolescent psychiatric disorders, influenced by the many current dynamics. Various lecturers will discuss ways in which mental health systems could adapt to changing circumstances and underline the growing importance of professional changes such as early intervention. “Consequently, mental health professionals are challenged to support their patients at different stages of their lives and in different contexts, such as family life, at school and in their peer groups. The purpose will have to be: offering affordable care services, so that, where there is a change, care can continually be assured”, says professor Stephan Eliez, president of ESCAP and chair of the ESCAP 2017 programme committee.